Over rate in One day format. Over rate in T-20 format. Over rate in Test cricket. In one day format or 50 over format the 50 overs has to be completed in 210 minutes. 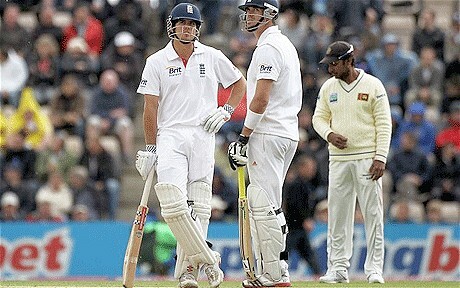 Out of 210 minutes 10 minutes is allotted to drinks break. In an innings we will be having drinks break two times sharing 5 minutes each. In an innings after every 70 minutes we will have a short drinks break for two times sharing 5 minutes each. The remaining 200 minutes is divided by 50 overs. Then we get 200 minutes / 50 overs = 4 minutes /over. =>As per the rules generally every over has to be completed in four minutes. =>For every hour or for every 60 minutes as per the rules generally 15 overs has to be completed. Over rate = 15 Overs per Hour. As per the ICC rules in 20-20 format the 20 overs has to be completed in 75 minutes. We know that for every 70 minutes we get a drinks break but since the 20 overs has to be completed in 75 minutes in 20-20 format as per the rules, we will not have any drinks break for just a matter of 5 minutes. Unofficially the players can have a drinks with out wasting any time. But officially there will be no drinks break in 20-20 formats. 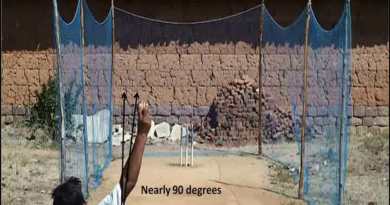 On every day of a match in available six hours, minimum 90 overs have to be bowled. In addition to these 6 hours we get an extra half an hour to complete these 90 overs. Test cricket is played for a period of maximum upto five days. On each day there are usually three two hour sessions. Third session ——–2hrs (plus may be more) ——- Tea to end of the play. After 80 overs, the captain of the bowling side will have the option to take a new ball. Every 70 minutes or after an hour of play we get 5 minutes of short drinks break. Ten minutes of time will be allotted between the changes of innings which means the other side has to get ready for the play on the field for batting with in this time interval. If the batting side is nine wickets down, the tea break will be delayed 30 minutes (or until the team is dismissed, if this occurs earlier). If there has been a loss of playing time, for example due to bad weather conditions, the session times will be adjusted to make up for the lost time. Due to overcast conditions or due to may be another reason if a play gets stopped it will be extended to available extra half an hour. Even after the completion of extended half an hour if the play is still left with the remaining overs to bowl on that particular day, the umpires will just stop the play for that day and the remaining overs would be added to next day’s quota (90 overs). And also on next day of the play the umpires will add an extra half an hour to the available 6 hours of the play of that day to fulfill the completion of remaining overs left on previous day. Therefore on this next day we get 6 + ½ hrs to play minimum 97 overs (minimum 90 overs + minimum 7 overs). 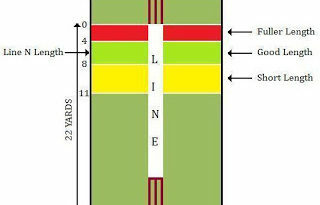 If these prescribed minimum 97 overs are not completed in the available six and half hours then according to the rules the availability of regular extra half an hour of that day will be extended to complete the remaining overs of the play. At the end of the day on this next day we get an extra one hour of play because of availability of added half an hour due to the loss of overs on previous day plus availability of regular extended extra half an hour. The process of getting total extra one hour is possible only on 2nd, 3rd, 4th or 5th day of Test match but not on first day of match. From above we can understand that there would be no mandatory overs in Test cricket format but there will be a mandatory hour. On a final day of play the final hour will be called as mandatory hour. Minimum 15 overs has to be bowled in a mandatory hour. Once the mandatory hour gets starts there will be no extension of time. Test cricket is always based on time factor unlike the limited over cricket (one days and T-20’s) is more about no of mandatory overs available. There is no word called “mandatory overs” used in the context of Test cricket. To win a Test match the bowlers have to take complete 20 wickets in available time period otherwise the match could be draw or tie or lost. 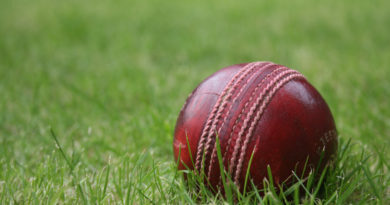 Whereas to win a limited over cricket matches the bowlers need not require to take complete 10 wickets (if taken its ok) but just can avoid opponents from reaching their target in available limited mandatory overs. Therefore since the limited over cricket has to deal with already known available limited mandatory overs we always get a result of win or lose or tie but not “Draw”. And since there is no availability of mandatory overs for a team to win or lose or tie in a Test form of cricket, we get an extra result of “Draw”. This is one of the small differences between the Test cricket and limited over cricket.